Dr. Gordillo is an Associate Professor in the Department of History at WSUV. Her book Mexican Women and the Other Side of Immigration: Engendering Transnational Ties published in 2010 garnered the National Association of Latina and Latino Anthropologists (ALLA) Book Award in 2011. 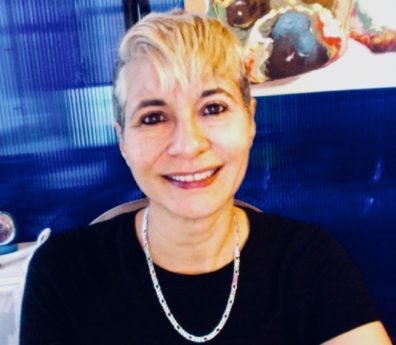 Gordillo’s analysis focuses on the history of immigration policies and practices and their impact on transnational subjects and ideas about National Security. In 2013, Dr. Gordillo co-directed and co-produced with Dr. Juan Javier Pescador a full-lenght documentary examining national Chicanx and Latinx migrations from Texas to the Pacific Northwest. The film, entitled Antonia: A Chicana Story, follows the experience of Antonia Castañeda, scholar, mentor and activist. In conjunction with the documentary, Dr. Gordillo worked on a series of interviews with Chicanx activists, scholars, artists, and art critics for the book Engendered History: The Collected Works of Antonia Castañeda. The interviews trace not only the emergence of the academic field of Chicanx Studies, but also the struggles of the Chicanx and Latina/o community to gain access to quality education in the Pacific Northwest.